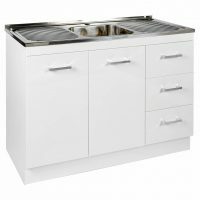 A trendy and useful base cupboard for your kitchen, this 60cm 4 Drawer Alpine Base Cupboard is designed to accommodate most kitchenware. Flaunting stylish looks, this highly functional base cupboard, which is equipped with four large drawers, is a must have for any kitchen design. It comes completely preassembled for hassle free installation. 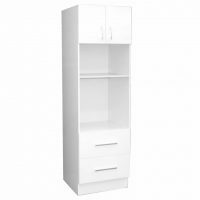 An ideal addition to your kitchen, this large base cupboard offers a handy amount of space. 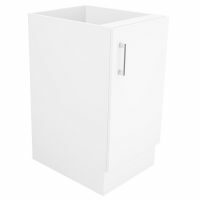 It features soft closing drawers, offers easy access and works noiselessly. 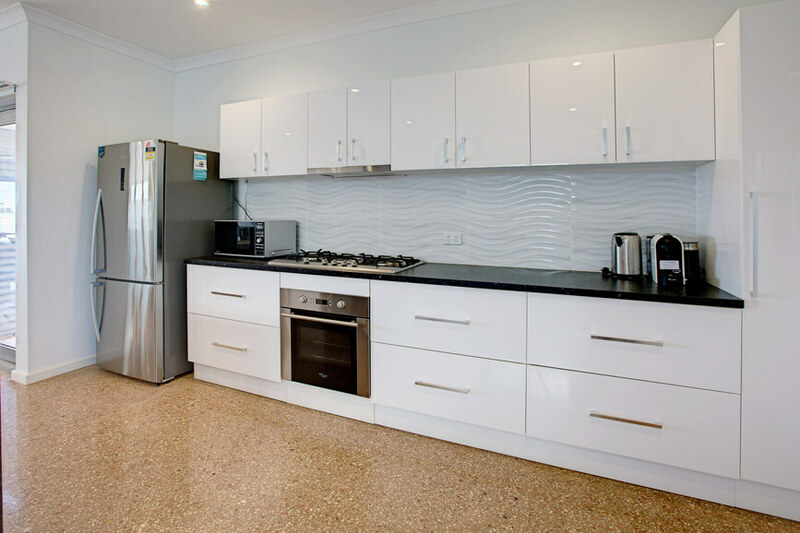 The cupboard sports a classic glossy white finish which will complement the looks of any kitchen space. 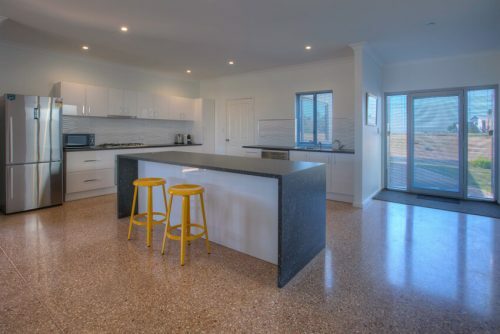 Chrome handles on this unit give off a contemporary look. 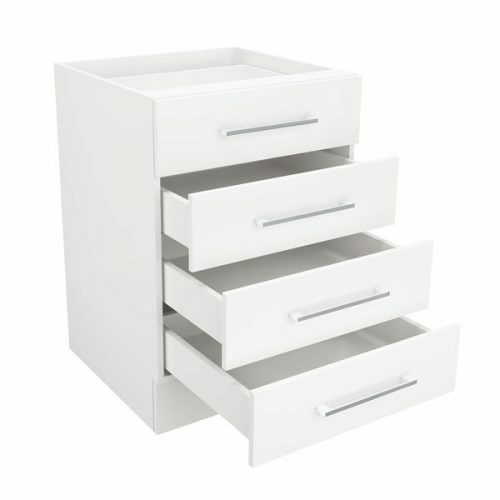 Manufactured using top grade HMR board, the 4 Drawer Alpine Base Cupboard is extremely moisture resistant, while a 2 pack finish provides a scratch resistant and smooth surface. A rugged frame construction ensures that the base cupboard to be long lasting. Your kitchenware will certainly be protected and will find good shelter in this cupboard. 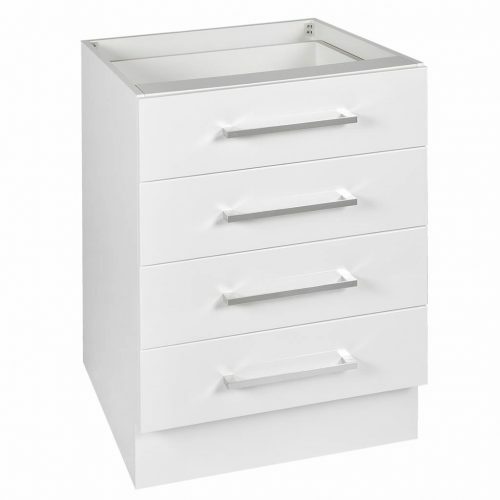 To ensure your peace of mind, this 4 Drawer Alpine Base Cupboard is backed by a 5 year guarantee on workmanship as also on the materials used in construction. Whether you require a stand-alone base cupboard, the whole kit and caboodle you can’t go wrong with Alpine cabinets.